Italian Ivan Gotti is ready to concede his 1999 Giro d’Italia victory to the late Marco Pantani if a new investigation shows Pantani was expelled unfairly from the race. “I’ll accept the decision that arrives,” 45-year-old Gotti told Italy’s Il Tempo newspaper. 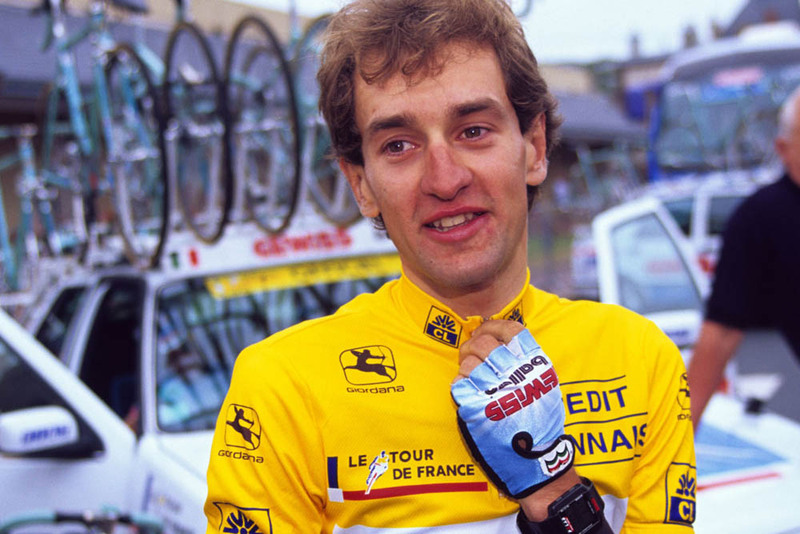 Gotti also won the 1997 Giro and placed fifth in the 1995 Tour de France. He took over the 1999 Giro lead on the final mountain day, with one day to race, after Pantani was kicked out. Pantani, who died in 2004, had a 5-38 lead after the Madonna di Campiglio stage but returned a high hematocrit test the morning after. Tests showed his haematocrit at 51.9%, above the limit of 50% and indicating EPO use, and forced him out of the race. That expulsion is the centre of a new investigation opened in September in Forlì, Italy. Public prosecutor Sergio Sottani is examining if the mafia and sporting fraud played a role in Pantani’s dismissal while in the race leader’s pink jersey. Sottani called several people in for hearings so far, including Italian mobster Renato Vallanzasca. Vallanzasca told Pantani’s mother, Tonia, in 2007 that the Camorra was involved. While in prison in 1999, Vallanzasca was warned against betting on Pantani’s overall victory and said that he heard that Pantani would never make it to Milan for the finish. Pantani returned after the Giro exclusion to win two stages in the 2000 Tour de France, his last two wins before he faded from competition and died of a cocaine overdose on February 14, 2004. His death is part of a separate investigation ongoing in Rimini. Romano Cenni, head of the the Mercatone Uno company that sponsored Pantani’s 1999 team, has heard enough from the Forlì investigation to ask that Pantani be awarded the overall win. “I cannot say if it was a conspiracy, an error or other circumstances, but what I am sure of is that new facts are emerging that, together with those already assessed, demonstrate that the decision taken in respect of Marco Pantani, and team Mercatone Uno, should be amended and revised,” Cenni’s lawyer, Marco Baroncini told Italy’s TGCOM television. Mercatone Uno must wait for the Forlì criminal inquiry to close first before going ahead with his sporting case. Was Marco Pantani’s 1999 Giro d’Italia expulsion related to the Mafia?